Translation - the author's own translation of the biblical text, reflecting the end result of exegesis and attending to Hebrew and Greek idiomatic usage of words, phrases, and tenses, yet in reasonably good English. Notes - the author's notes to the translation that address any textual variants, grammatical forms, syntactical constructions, basic meanings of words, and problems of translation. 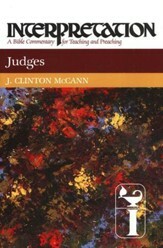 Explanation - brings together all the results of the discussion in previous sections to expose the meaning and intention of the text at several levels: (1) within the context of the book itself; (2) its meaning in the OT or NT; (3) its place in the entire canon; (4) theological relevance to broader OT or NT issues. Trent C. Butler is a freelance author and editor. He served ten years on the faculty of the International Baptist Theological Seminary in Rüschilkon, Switzerland, and for twenty-two years as editor and editorial director for Holman Bible Publishers and LifeWay. 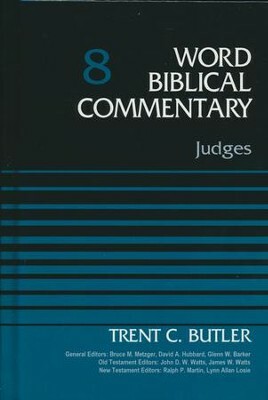 He wrote the Word Biblical Commentary volume on Joshua, the Laymans Bible Book Commentary on Isaiah, the Holman Old Testament Commentaries on Isaiah and Hosea through Micah, and the Holman New Testament Commentary on Luke. He served on the editorial Board of the Holman Christian Standard Bible, and edited the Holman Bible Dictionary. Dr. Butler has a Ph.D. in biblical studies and linguistics from Vanderbilt University, has done further study at Heidelberg and Zurich, and has participated in the excavation of Beersheba. Bruce M. Metzger (1914  2007) was a biblical scholar, textual critic, and a longtime professor at Princeton Theological Seminary. Metzger is widely considered one of the most influential New Testament scholars of the 20th century. 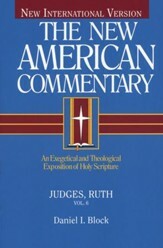 He was a general editor of the Word Biblical Commentary (1997 - 2007). David Allan Hubbard (1928  1996), former president and professor of Old Testament at Fuller Theological Seminary in Pasadena, California, was a recognized biblical scholar. In addition to over 30 books, he has written numerous articles for journals, periodicals, reference works. 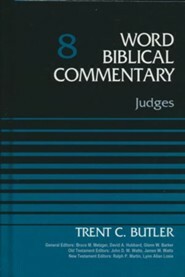 He was a general editor of the Word Biblical Commentary (1977 - 1996). John D. W. Watts (1921  2013) was President of the Baptist Theological Seminary, Ruschlikon, Switzerland, and served as Professor of Old Testament at that institution, at Fuller Theological Seminary, and the Southern Baptist Theological Seminary in Louisville, Kentucky. 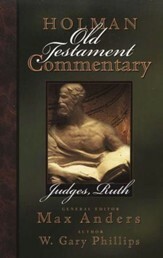 His numerous publications include commentaries on Isaiah (2 volumes), Amos, and Obadiah. 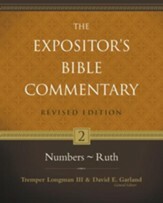 He was Old Testament editor of the Word Biblical Commentary (1977 - 2011). 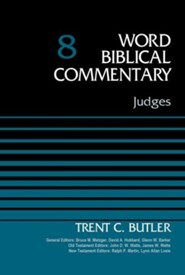 I'm the author/artist and I want to review Judges: Word Biblical Commentary, Volume 8 (Revised) [WBC].